Hasbro, Inc. (/ˈhæzbroʊ/; a syllabic abbreviation of its original name, Hassenfeld Brothers) is an American worldwide toy and board game company. It is the largest toy maker in the world in terms of stock market value, and third largest with revenues of approximately $5.12 billion. Hasbro acquired the trademarks and products of Kenner, Parker Brothers, and Milton Bradley, among others. Among its products are Monopoly, G.I. Joe, Furby, Transformers, Nerf, My Little Pony, Twister and the Power Rangers franchise. The Hasbro brand also spawned TV shows to promote its products, such as Family Game Night on the Discovery Family network. The corporate headquarters is located in Pawtucket, Rhode Island. The majority of its products are manufactured in East Asia. Three American Jewish brothers, Herman, Hillel, and Henry Hassenfeld founded Hassenfeld Brothers in Providence, Rhode Island in 1923, a company selling textile remnants. Over the next two decades, the company expanded to produce pencil cases and school supplies. In 1926, Hassenfeld Brothers was incorporated; Hillel left for another textile business while Henry took charge of the corporation. They began making their own pencils when their pencil supplier began making pencil cases as well. Hassenfeld Brothers produced modeling clay and then doctor and nurse kits as their first toys, and they became primarily a toy company by 1942. Hillel died in 1943 and Henry Hassenfeld became CEO, while his son Merrill became president. The company entered the plastic fields during World War II to support its toy line. Hassenfeld Brothers' first toy hit was Mr. Potato Head, which the company purchased from George Lerner in 1952. The toy was a smash success. In 1954, the company became a Disney major license. In 1960, Henry died and Merrill took over the parent company, and his older brother Harold ran the pencil-making business of Empire Pencil. Hassenfeld Brothers expanded to Canada with Hassenfeld Brothers (Canada) Ltd. in 1961. The company was approached in 1963 to license a toy based on The Lieutenant, which they turned down because they did not want to be tied to a possibly short-lived television series. Instead, Hassenfeld Brothers produced the G.I. Joe toy in 1964 which they termed an "action figure" in order to market it to boys who wouldn't want to play with dolls. In 1964 and 1965, G.I. Joe accounted for two-thirds of Hassenfeld's sales. The company had previously sold toys under the Hasbro trade name, and it shortened its name to Hasbro Industries in 1968 and sold a minor stake in the corporation to the public. The unpopular Vietnam War was at its height in 1969, so Hasbro redesigned GI Joe to be less militaristic and more adventure oriented. Its promotional efforts included the catchphrase "Boy Oh Boy! It's A Hasbro Toy!" in television commercials and print ads. Also in 1969, Hasbro bought Burt Claster Enterprises which produced "Romper Room" and had just begun a Romper Room toy line. A month-long Teamsters strike and Far Eastern supplier troubles caused the company to have a $1 million loss for the year. In 1970, Hasbro began a plan of diversification and opened the Romper Room Nursery School franchise chain to cash in on President Richard M. Nixon's Family Assistance Plan which subsidized day care for working mothers. By 1975, the company had ended the nursery chain. Hasbro also entered the cookware field with the Galloping Gourmet line based on a television cooking show, but the line collapsed with an attack of termites on their salad bowls. Two new 1970s toys were public relations disasters. One of the toys was named Javelin Darts which were similar to the ancient Roman plumbata. On December 19, 1988, the Consumer Product Safety Commission banned lawn darts from sale in the United States due to their hazards as a flying projectile with a sharp metal point causing multiple deaths. The other toy was named The Hypo-Squirt, a hypodermic needle-shaped water gun tagged by the press as a "junior junkie" kit. Both were recalled. Romper Room and its toy line had continued success, although Action for Children's Television citizens group considered the program to be an advertising channel for toys. Merrill Hassenfeld took over as CEO in 1974, and his son Stephen D. Hassenfeld became president. The company became profitable once again but had mixed results due to cash flow problems from increasing the number of toys in the line to offset G.I. Joe's declining sales. Hasbro ended the G.I. Joe line in 1975 because of the rising price of plastic and crude oil's increasing prices. In 1977, Hasbro's losses were $2.5 million, and the company held a large debt load. That same year, Hasbro acquired Peanuts cartoon characters licensing rights. With the financial situation poor, Hasbro's bankers made the company temporarily stop dividend payments in early 1979. The toy division's losses increased Harold Hassenfeld's resentment regarding the company's treatment of the Empire Pencil subsidiary as Empire received lower levels of capital spending to profits than did the toy division. With Merrill's death in 1979, Harold did not recognize Stephen's authority as the successor to the chairman and CEO position. As a solution, Hasbro spun off Empire Pencil in 1980, which was the nation's largest pencil maker, with Harold trading his Hasbro shares for those of Empire. Stephen then became both the CEO and chairman of the board. Between 1978 and 1981, Stephen reduced the Hasbro product line by one-third and its new products by one-half. Hasbro focused on simple, low cost, longer life-cycle toys like Mr. Potato Head. Hasbro thus stayed out of the electronic games field which went bust in the early 1980s. In 1982, Hasbro revived its G.I. Joe line with the help of Marvel Comics, as an anti-terrorist commando based on current events. The company launched the successful Transformers toy line along with a children's animated TV series two years later. With the toys and TV series being popular, Stephen Hassenfeld posed with the toys for a People magazine cover photo. In 1982, Hasbro produced the successful toy franchise My Little Pony. In 1983, they purchased GLENCO Infant Items, a manufacturer of infant products and the world's largest bib producer, and Knickerbocker Toy Company, a Warner Communications (now WarnerMedia and Ubisoft) struggling subsidiary. Hasbro paid Warner with 37 percent of its stock—paid into a Hasbro executive control voting trust—and also received a cash infusion. In 1984, Alan G. Hassenfeld took over as president from his brother Stephen, who continued as CEO and chairman. That same year, the company was the nation's sixth best-selling toymaker, and they acquired the Milton Bradley Company which was the nation's fifth best-selling toymaker. This brought The Game of Life, Twister, Easy Money, and Playskool into the Hasbro fold and transformed Hasbro into Hasbro Bradley. Stephen Hassenfeld became the merged company's president and CEO, with Milton Bradley chief James Shea Jr. taking the chairman position. However, the executives clashed and Shea left after a few months, and Stephen and Alan returned to their previous positions. In 1985, the company changed its name again to just Hasbro, Inc. The Jumpstarters toys were the subject of a lawsuit in 1985 when Hasbro sued a toy manufacturer for selling toys based on their Transformers design. Hasbro won the suit. In the mid-1980s, Hasbro moved past Mattel to become the world's largest toy company. Hasbro then moved to outsell Mattel's Barbie in the fashion doll market with the 1986 introduction of Jem, a record producer/rock musician dual identity fashion doll. Jem initially posted strong sales but plummeted and was withdrawn from the market in 1987. Hasbro followed up in 1988 with Maxie, a Barbie-sized blonde doll, so that Barbie clothing and accessories would fit. Maxie lasted until 1990. Under Alan's initiative in the late 1980s, Hasbro moved to increase international sales by taking toys overseas that had failed in the US market and selling them for as much as four times the original price. This increased international sales from $268 million in 1985 to $433 million in 1988. In 1988, Hasbro purchased part of Coleco Industries' indoor and outdoor children's furniture and ride-on toy product lines for $21 million including two just closed manufacturing plants in Amsterdam, N.Y. In July 1989, Hasbro acquired bankrupt Coleco for $85 million. Stephen Hassenfeld died later that year with the company having gone from sales of $104 million in the year he took control to 1989 sales of over $1.4 billion. Alan succeeded Stephen as chairman and CEO. In 1991, Hasbro purchased Tonka Corp. for $486 million, along with its Parker Brothers unit, the maker of Monopoly, and Kenner Products. Milton Bradley and Parker Brothers were merged into one division. Alan moved to expand Hasbro overseas with new units in Greece, Hungary, and Mexico. Alan saw the Far East as an important market in which to expand. In 1992, Hasbro purchased Nomura Toys Ltd. in Japan, and majority ownership of Palmyra, a Southeast Asian toy distributor. These increased the proportion of international sales from 22% in 1985 to 45% ($1.28 billion) in 1995. In 1993, Hasbro lost its bid for J. W. Spear & Sons, a U.K.-based game maker, to Mattel. In the US, Hasbro's growth since 1980 were from acquisitions and the leveraging of the new assets. New product development was not as successful except for movie and TV tie-in product lines with Jurassic Park and Barney. Thus, US sales were stagnant in the early 1990s, falling from 1993 to 1995. To turn domestic performance around in 1994, Hasbro merged the Hasbro Toy, Playskool, Playskool Baby, Kenner, and Kid Dimension units into the Hasbro Toy Group. Meanwhile, Mattel purchased Fisher-Price and retook the top spot in the toy industry. Hasbro Interactive was started in 1995 and released the Monopoly game on CD-ROM. Mattel also proposed a merger that year, but was turned down by the Hasbro board in 1996 due to antitrust issues and Justice Department investigation into exclusionary policies between toy manufacturers and toy retailers, particularly Toys "R" Us. In 1998, Hasbro bought Avalon Hill for $6 million and Galoob for $220 million. In 1999 Wizards of the Coast was bought in a deal worth $325 million. Wizards of the Coast is now a subsidiary of Hasbro and has Avalon Hill as its division. In 2001 money-losing Hasbro Interactive was sold to Infogrames, a French software concern, for $100 million. Hasbro entered the building block toy with its Built to Rule line in 2003, which did not hold together well or were too hard for the targeted age group, thus ended in 2005. In 2007, a workers' rights group investigated several of Hasbro's Chinese suppliers and found that, in one instance, a toy factory in China's Guangxi Province had hired 1000 junior high school students. The same group discovered other widespread labor violations, including unsafe working conditions, mandatory overtime, verbal abuse and sexual harassment of employees. Hasbro issued a statement, saying that it would "act swiftly and decisively in making any necessary changes" and had "increased the intensity of [its] ongoing safety review efforts." Critics pointed out that Hasbro had no official regulatory control of these factories. Hasbro responded by hiring independent auditors. These auditors make unannounced visits to the East Asian subcontractors. Factory managers have been coached in how to fool the auditors. Hasbro is collaborating with Discovery Communications on Hub Network, a new cable network which began on October 10, 2010. The venture proved successful in unexpected ways when the TV revival of the My Little Pony franchise, My Little Pony: Friendship Is Magic, became the network's highest-rated program with not only its target demographic of young girls, but attracted an unexpectedly significant cult following among teens and adults. The Hub Network was rebranded as Discovery Family on October 13, 2014. Hasbro also produces Marvel Comics and Star Wars toys, having recently renewed this deal through at least 2020. In 2011, Greenpeace accused Hasbro of purchasing paper for its packaging from ancient forests in Indonesia. Hasbro changed its paper purchasing policy, earning the company praise from Greenpeace Executive Director Phil Radford, who said: "The new Hasbro policy will also increase the recycled and Forest Stewardship Council (FSC) certified paper in its toy packaging. Hasbro's new commitments are great news for Indonesian rainforests and the people and wildlife that depend on them." By April 2011, Hasbro started 360 Manufacturing Services, a contract OEM game manufacturing operating out of Hasbro's USA plant. After the Built to Rule line, Hasbro relaunched it into the building block area with the Kre-O line in late 2011 starting with some Transformers-based sets. In 2012, Hasbro received a US$1.6 million tax credit from the state of Rhode Island with a promise to create 245 new jobs in the state. Instead they laid off more than 125 workers. This was followed in 2013 with further layoffs of North American workers, amounting to 10% of its salaried employees. Meanwhile, CEO, Brian Goldner signed a new five-year contract. As of fiscal year 2012, CEO, Brian Goldner had a total calculated compensation of $9,684,285. In July 2013, Backflip Studios sold a 70% stake in the company to Hasbro for $112 million in cash. On November 12, 2014, it was reported that Hasbro was in talks to buy DreamWorks Animation. The proposal reportedly calls for the combined company to take the name "DreamWorks-Hasbro" and for Jeffrey Katzenberg to become its chairman, but as a matter of policy, neither Hasbro nor DWA publicly comment on mergers and acquisitions. Two days later, the talks were reported to have fallen through. On July 14, 2015, the company announced the intent to sell its last two factories in Ireland and East Longmeadow, Massachusetts factories (including its 360 Manufacturing Services) to Cartamundi which should close in sixty days. Hasbro signed a five-year deal with Cartamundi to produce their board games at the East Longmeadow plant. With Mattel adding two competing lines, and the expiration of their Disney Princess license at the end of 2015, Disney gave Hasbro a chance to gain the license given their work on Star Wars, which led to a Descendants license. DCP was also attempting to evolve the brand from one of them less as damsels and more as heroines. In September 2014, Disney announced that Hasbro would be the doll licensee for the Disney Princess line starting on January 1, 2016. In July 2016, Hasbro acquired Dublin-based Boulder Media Limited and placed it under the control of its chief content officer. Hasbro announced that it would launch its own convention, named HasCon, and featuring "all things Hasbro" in 2016, with the inaugural event being held at the Rhode Island Convention Center in September 2017. On November 10, 2017, the Wall Street Journal reported that Hasbro had made a takeover offer for Mattel, Inc. At the time, Mattel worth was $5 billion, while Hasbro was about $11 billion. On November 15, 2017, Reuters reported that Mattel rejected the offer. On February 27, 2018, Variety reported in a detailed article that Hasbro came close to buying Lionsgate last year, but the deal fell through. In February 2018, Saban Brands appointed Hasbro as the global master toy licensee for Power Rangers with a future option to purchase the franchise. On May 1, 2018, Hasbro agreed to purchase Power Rangers and other entertainment assets from Saban Brands for US$522 million in cash and stock with the licensing fee already paid with credit. The sale, which also included My Pet Monster, Popples, Julius Jr., Luna Petunia, Treehouse Detectives and additional properties, was expected to close in the second quarter. In October 2018, the company announced plans to cut jobs amounting to less than 10% of its 5,000-plus global workforce in response to changes in how consumers buy toys. In 2018, Hasbro signed a number of licensing agreements for hospitality deals based on Hasbro brands. On May 1, 2018, the Monopoly Mansion hotel agreement was announced by Hasbro with M101 Holdings constructing and M101's Sirocco Group would manage the hotel when it opens in 2019. With Kingsmen Creatives, Hasbro granted them a license to build NERF Action Xperience family entertainment center with the first to be opened in Singapore in fall/winter 2019. In November, the company issued license for family entertainment centers to Kilburn Live, who will launch a new division for the centers. While in December, the company granted a license for theme parks to Imagine Resorts and Hotels, co-founded by Bruce Neviaser, who previously co-founded Great Lakes Companies, which launched Great Wolf Resorts indoor waterpark resorts. In 2011, Greenpeace accused Hasbro of purchasing paper for its packaging from ancient forests in Indonesia. Hasbro changed its paper purchasing policy, and Greenpeace Executive Director Phil Radford praised the company. Hasbro has also been criticized for focusing some of its products on specific demographic groups. For example, a letter spread widely on social media in November 2012 written by a six-year-old Irish girl complaining about the lack of female characters in the guessing game Guess Who? This garnered attention in the press after the girl's mother posted the exchange on her blog. Guess Who? had previously received complaints over gender and ethnic bias in its choice of 24 images. Hasbro primarily sells toys directed at either the girl or boy markets. As such, there have been criticisms that Hasbro's toys reinforce gender stereotypes. For example, in December 2012, 13-year-old McKenna Pope started a campaign on Change.org, calling on the company to create a "boy-friendly" version of the popular Easy-Bake Oven and to feature boys on their packaging and materials. Within a week, over 30,000 people signed her petition. Hasbro was criticized for "sexist" product design when its 2015 Star Wars Monopoly board game failed to feature Rey, the female protagonist in Star Wars: The Force Awakens, while including all of the supporting male characters. Hasbro explained that Rey was left out of the Monopoly game to avoid spoilers, because the game was released months before the movies. On January 5, 2016, Hasbro announced that Rey would be included in future versions. Hasbro later stated that it struggled to distribute the updated Monopoly game that includes the Rey piece, because retailers (especially in the United States) showed "insufficient interest" after having already purchased stock of the first release. On October 2, 2015, Lorraine Markham sued Hasbro for breach of contract for failure to pay royalties to her. She was seeking a declaration from the U.S. District Court in Providence that her husband Bill Markham was the sole creator of The Game of Life. Hasbro was named by Fortune magazine as one of the top 100 companies to work for in 2013, citing that the "company enhanced its vacation policy by giving new employees three weeks off in their first year instead of having to wait five years." Brain Warp and its sister products which include Brain Shift, Brain Bash, Death Star Escape, Hyperslide and Torx. Hasbro also offers a memory game called Simon which involves memorising sequences of colors and lights. In 1995, Hasbro began a short-lived video game development and publishing venture called Hasbro Interactive, but disbanded it in 2001 when it was bought by the now defunct Infogrames. Now Hasbro develops video games based on its brands through third-party developers and licensing strategies, notably with major American companies such as Activision, Electronic Arts, and THQ. Following the rise of smartphones and tablet PCs in the 2010s, as well as major video gaming publishers cutting back on releasing games based on licensed IPs for various reasons, such as economic slumps, several of Hasbro's brands were licensed towards mobile game developers such as Gameloft, releasing their games under the label Hasbro Gaming. 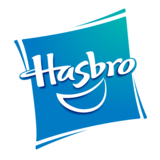 ^ a b c d e "Company Financials Hasbro, Inc". Hasbro. Retrieved May 18, 2017. ^ "HAS Profile - Hasbro, Inc. Stock - Yahoo Finance". ^ "Fact sheet" (PDF). /corporate.hasbro.com. ^ "Fun For Profit: The World's Nine Biggest Toy Companies". January 21, 2014. ^ "Mattel Partners With China's NetEase to Revive Mobile Gaming". January 30, 2018 – via www.bloomberg.com. ^ "History of Hasbro, Inc. – FundingUniverse". ^ a b c d e f g h i j k l m n o p q "Hasbro, Inc. History". International Directory of Company Histories Vol. 16. St. James Press. Retrieved February 6, 2013. ^ "Lawn Darts Are Banned and Should Be Destroyed". U.S. Consumer Product Safety Commission. May 15, 1997. Archived from the original on December 16, 2010. Retrieved January 25, 2011. Pointed lawn darts, intended for use in an outdoor game, have been responsible for the deaths of three children. The most recent injury occurred last week in Elkhart, Ind., when a 7-year-old boy suffered a brain injury after a lawn dart pierced his skull. ^ "Hasbro Bradley, Inc. v. Sparkle Toys, Inc., 780 F.2d 189 (2nd Cir. 1985)". ^ "Company News; Hasbro in Accord For Coleco Lines". New York Times. July 12, 1988. Retrieved February 8, 2013. ^ "Company News; Hasbro's Purchase Of Coleco's Assets". New York Times. AP. July 13, 1989. Retrieved February 8, 2013. ^ Leffall, J. (August 5, 1998). "Monarch Avalon to sell game unit to Hasbro In wake of loss, local company to get $6 million in cash". The Baltimore Sun. Retrieved February 9, 2013. ^ L. de Rosa, Peter (Summer 2002). "The Fall of Avalon Hill". Academic Gaming Review. 4 (4). Retrieved June 2, 2017. ^ Fost, Dan.Hasbro Adds Galoob to Its Toy Chest." San Francisco Chronicle. Tuesday September 29, 1998. Retrieved on April 25, 2010. ^ "Hasbro to Acquire Wizards of the Coast". About.com. September 11, 1999. Retrieved January 4, 2008. ^ a b "Hasbro pushes into Lego's land with new blocks". USA Today. Gannett Co. Inc. AP. February 13, 2011. Retrieved November 6, 2015. ^ "Hasbro Acquires Cranium". Boardgames.about.com. January 4, 2008. Retrieved June 9, 2011. ^ ""Hasbro Announces Agreement to Acquire Cranium, Inc." press release". Phx.corporate-ir.net. January 4, 2008. Retrieved June 9, 2011. ^ "No brainer: Hasbro buys Cranium". msnbc.com. ^ Watercutter, Angela (November 5, 2011). "Bronies' TV Spot Shows Changing Face of My Little Pony Herd". Wired. Retrieved November 5, 2012. ^ Gennis, Sadie (July 31, 2013). "Give Bronies a Break! In Defense of Adult My Little Pony Fans". TV Guide. Retrieved September 23, 2014. ^ "Hasbro Extends Disney Pact for Marvel, Star Wars Toys and Games". Variety. July 22, 2013. Retrieved August 10, 2013. ^ a b Phil Radford. "Hasbro Turns Over a New Leaf, Steps Up for Rainforests". Huffington Post. Retrieved August 24, 2011. ^ Gottlieb, Richard (April 27, 2011). "Manufacturing your products in the USA; Hasbro steps up with a domestic contract manufacturing service". Global Toy News. Retrieved July 21, 2015. ^ Hasbro Continues To Lay Off Workers Despite Expansion Plans. GoLocalProv (2013-04-30). Retrieved on 2013-09-27. ^ "Six-year-old schools Hasbro on gender equality" from "Yahoo Games"
^ Brian Goldner: Executive Profile & Biography - Businessweek. Investing.businessweek.com. Retrieved on 2013-09-27. ^ Patane, Matthew (July 9, 2013). "Boulder's Backflip Studios sells majority stake to Hasbro". The Denver Post. Digital First Media. Retrieved June 2, 2017. ^ Lieberman, David; Patten, Dominic (November 12, 2014). "DreamWorks Animation & Hasbro In Merger Talks; Deal With Hearst Looming". Deadline. Penske Business Media. Retrieved November 15, 2014. ^ de la Merced, Michael J.; Barnes, Brooks (November 14, 2014). "Hasbro Said to End Talks to Take Over DreamWorks Animation". New York Times. Retrieved November 15, 2014. ^ Kinney, Jim (July 14, 2015). "Hasbro to sell East Longmeadow plant to Belgian playing cards and games manufacturer". MassLive. The Republican. Retrieved July 14, 2015. ^ Suddath, Claire (December 17, 2015). "The $500 Million Battle Over Disney's Princesses". Bloomberg Businessweek. Retrieved February 18, 2016. ^ Schwindt, Oriana (July 13, 2016). "Hasbro Acquires Dublin-Based Animation Studio Boulder Media". Variety. Retrieved July 14, 2016. ^ Tsirbas, Christos (October 19, 2016). "Hasbro's HASCON Convention Celebrates My Little Pony, Transformers & More". CBR.com. Retrieved May 18, 2017. ^ Zaiobro, Paul; Mattioli, Dana (November 10, 2017). "Hasbro Sets Its Sights on Mattel". The Wall Street Journal. Retrieved November 11, 2017. ^ a b "Hasbro approaches Mattel about takeover, says WSJ, citing sources". CNBC. November 10, 2017. ^ Roumeliotis, Greg. "Mattel snubs Hasbro's latest acquisition approach - sources". Reuters. Retrieved November 25, 2017. ^ Lopez, Brent Lang,Ricardo (February 27, 2018). "Lionsgate Courts Buyers as It Struggles to Compete With Industry Heavyweights". ^ a b "Hasbro Named Global Master Toy Licensee for Saban's Power Rangers". Hasbro. February 16, 2018. Retrieved February 18, 2018. ^ "Hasbro buying Power Rangers, other brands in $522M deal". ABC News. AP. May 1, 2018. Archived from the original on May 2, 2018. Retrieved August 3, 2018. ^ "Hasbro Closes Acquisition of Saban Properties' Power Rangers and other Entertainment Assets". Hasbro. Retrieved January 28, 2019. ^ a b "Hasbro to Acquire Saban Brands' Power Rangers and Other Entertainment Assets". Hasbro. Retrieved January 28, 2019. ^ Ziobro, Paul (October 19, 2018). "Hasbro to Cut Workforce in New Round of Layoffs". Wall Street Journal. ISSN 0099-9660. Retrieved October 19, 2018. ^ Bernama (March 2, 2018). "World's first Monopoly hotel to open in KL in 2019". New Straits Times. Retrieved December 21, 2018. ^ Foster, Elizabeth (December 5, 2018). "NERF to open first indoor attraction". Kidscreen. Retrieved December 28, 2018. ^ Griepp, Milton (November 13, 2018). "Hasbro Licenses Chain of Family Entertainment Centers". ICv2. Retrieved December 13, 2018. ^ Griepp, Milton (December 12, 2018). "Hasbro Enters the Parks Business". ICv2.com. Retrieved December 13, 2018. ^ "Hasbro knows all about selling to kids - and nothing much about talking to them" Archived March 6, 2013, at the Wayback Machine from "http://www.byjenniferoconnell.com Archived March 6, 2013, at the Wayback Machine"
^ Emanuella Grinberg, CNN (December 6, 2012). "Teen says pink toy ovens discourage boys from kitchen play". CNN. ^ "Hasbro explains why Rey was excluded from Star Wars: Monopoly (update)". January 5, 2016. ^ "Star Wars: Hasbro on why the Rey piece is still missing from Monopoly". July 12, 2017. ^ "Complaint" (PDF). PacerMonitor. Retrieved November 16, 2015. ^ "Hasbro - Best Companies to Work For 2013 - Fortune". Money.cnn.com. February 4, 2013. Retrieved July 10, 2013. ^ Coopee, Todd. "Light Bulb Baking". ToyTales.ca. ^ "Hasbro and Epic Games Partner to Launch Fortnite™ Toys and Games". Hasbro. September 10, 2018. Retrieved November 17, 2018. ^ "Hasbro Joins Blizzard Entertainment's Overwatch® in the Fight for the Future as Master Toy Licensee". Hasbro. May 22, 2018. Retrieved August 3, 2018. ^ Coopee, Todd. "Skedoodle". ToyTales.ca. ^ Coopee, Todd. "Bowl-A-Tron 300 Automatic Bowling Game from Hasbro (1962)". Toy Tales.